Priyanka Chopra's first cousin, Parineeti Chopra couldn't have asked for more. She has been signed in Yash Raj Films' next LADIES V/S RICKY BAHL, to be directed by BAND BAAJA BAARAAT fame Maneesh Sharma. Parineeti has been a part of the marketing team of Yash Raj Films. Priyanka is ecstatic with the news. "Yes, Parineeti Chopra is my sister. This is the first time Yash Raj Films has launched someone in such a way. I am very happy YRF has signed her. She is a part of YRF's marketing department. In fact, she had worked on my own film PYAAR IMPOSSIBLE. I think it was one of her first films." Being one of the leading actress, does Priyanka have any tips for the newcomer? "I think I will call her and do that," says Priyanka with a wry smile. 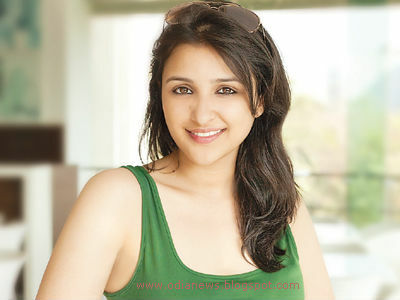 Parineeti will be one of the "ladies" who falls prey to the smooth talking guile of Ricky Bahl. LADIES V/S RICKY BAHL stars Ranveer Singh and Anushka Sharma in lead roles. The shooting starts early-April and plans to be in theatres on 9th Dec 2011, the same weekend BAND BAAJA BAARAAT released.